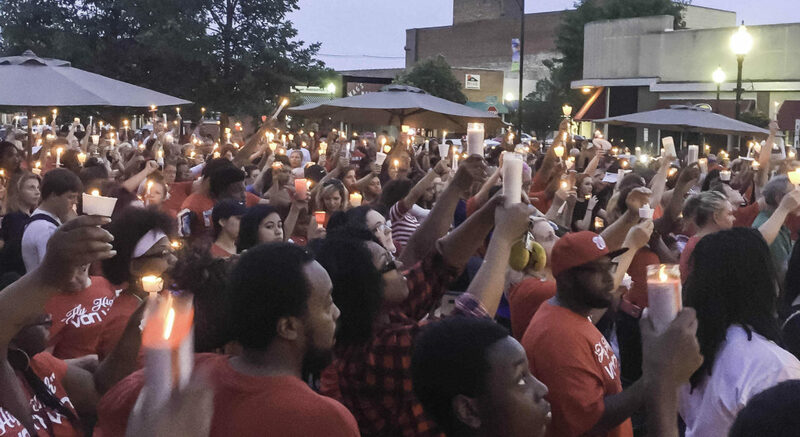 Hundreds of people in Danville gather for a candlelight vigil on June 13, 2016, in honor of Devon McClyde, who was shot while playing basketball in Garfield Park on June 8, 2016. In 2017, eight people were killed from gun violence in Danville. His name was Devon McClyde and he was 16 years old when he was caught in the crossfire of an argument while playing basketball one evening in a local park in Danville on June 8, 2016. For example, Danville had eight homicides in 2017, up from two in 2015. Decatur reported nine homicides in 2017, up from six in 2015. The statistics also reveal that increasing efforts to stop the gun violence may have not been as effective as communities and police have hoped. Several areas have launched formal programs to decrease gun violence – such as the Don’t Shoot Initiative in Peoria and the CU Fresh Start program in Champaign and Urbana. A Danville group, Three Kings of Peace, is working with Moms Demand Action for Gun Sense in America and other groups to host weekly peace rallies and block parties in neighborhoods this summer. The Midwest Center compared data from local police to state and federal reports and media reports. Reporting on shootings can be inconsistent and in one instance, the Center found that a high profile killing in Peoria was not included in that city’s data. Devon McClyde liked music and basketball and pulling pranks on his family. “Oh, he was just so bright and lovely. Oh, my God. I miss my baby. I miss him,” said his grandmother, Debra Matchem, 54. June will mark the two-year anniversary of his death. Since then, Matchem said, it’s been a “dark cloud” for the whole family. Dallaz A. Camareno of Danville was arrested for the murder in July 2016 and later sentenced to 20 years in November 2017 after pleading guilty to second-degree murder in what was determined to be a gang-related shooting. 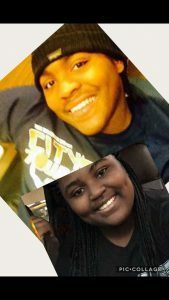 In Springfield, high school senior Jessica Booker of Springfield mourns her brother Andre. He was killed May 31, 2017, while playing basketball at Cox Park. “All we know is that he was playing basketball. And as they were playing basketball, someone walked up with a gun, and he was shot from the side, and it hit his heart. And his heart exploded before he hit the ground,” she said. Andre Booker was a popular student and played on the basketball and football teams. He was 19 years old when he died. He was one of three persons killed that in May 2017 in Springfield, ending a month of gun violence in which 14 people were wounded. “It’s predominantly young kids, and it’s, ‘I can do better than you,’ and it’s to prove a point. And it’s cool to carry a gun a shoot someone, but young lives are being taken by the dozens. It’s sad, you know, ruining their lives,” said Nadine Williams, a former crime analyst for the Springfield Police Department who retired in 2015 after more than three decades. In a 2017 report, the Heartland Alliance, an anti-poverty organization, found that people living in poverty were more likely to be victims of violence, whether they lived in urban, suburban or rural areas. The agency found that Vermilion County, where Danville is located, had the third highest violent crime rate in Illinois. “Illinois has not recovered from the recession as well as other areas,” said Katie Buitrago, director of research at the Heartland Alliance. While news reports may quote officials who attribute the violence to persons who moved from Chicago to downstate cities, Buitrago said it is more likely that people who live in downstate cities likely became less wealthy. “I think it’s probably an oversimplification to blame it on Chicago. The people living there [in central Illinois] already are getting poorer,” Buitrago said. For example, in Danville, there were 29.7 percent of people below the poverty level, according to the 2012-2016 American Community Survey Estimates. In 2000, 18.1 percent of the population lived below the poverty level. In Champaign, there were 25.8 percent of people below the poverty level, according to the 2012-2016 American Community Survey Estimates. In 2000, 22.1 percent of the population lived below the poverty level. Larry Thomason, director of public safety for the City of Danville, said that gun violence in Danville is not random but instead usually involves gangs or drugs. Danville native Mary Catherine Roberson is part of a local group to help curb the violence. This summer, she and a group of other gun violence activists have scheduled marches and block parties to raise awareness about gun violence and to encourage people to report issues as they see them. Roberson, a close family friend of Matchem’s, became more active after the death of Mr. McClyde. Of the 10 homicides in Danville in 2017, eight were related to gun violence, Roberson said. “So, that’s eight people, that’s eight moms, that’s eight dads, that’s eight people’s children. And it’s important that we remember that, and it doesn’t matter if they were a sinner or a saint, that at the end of the day, it was a senseless active gun violence that killed them,” she said. In Champaign, 30-year-old Ericka Cox-Bailey was shot to death two years ago while walking home from Dollar General in Champaign after a trip to buy snacks on a summer Sunday evening. The victim of a stray bullet, Ms. Cox-Bailey was killed just outside of a popular bowling alley. For Champaign City Council woman Clarissa Fourman, the lack of effective response was concerning. Fourman, who lives just down the street from where Ms. Cox-Bailey was killed, said she does not let her children walk outside by themselves for fear that they may get shot. “It’s become a part of our neighborhood,” Fourman said. She said that her children are exposed to gun violence by living in north Champaign. Fourman said that while much of the attention has been on murders and shootings where someone is injured, she is also concerned about the frequency of shootings where no one is hit. She compared the frequency of the shootings to the “wild, wild west” and said the persons responsible should not have guns. “If you don’t know what you’re shooting at and what you’re aiming at, you don’t need a gun,” she said. Fourman said she is concerned with the community and police response and the police unwillingness to say there are gangs in Champaign. But Champaign Police Chief Anthony Cobb said gun violence around gangs and cliques still occurs occasionally, but it was more prevalent in the past than it is today. Gun violence in Champaign today is more isolated and related to drugs and domestic problems, he said. A coalition of 11 people from local police forces including Champaign, Urbana, the University of Illinois and Champaign County are working to prevent gun violence, Cobb said. And while a proactive police force is one solution, a cooperative community is another, he said. Cobb also said finding witnesses to gun crimes can be challenging because of fears of retaliation, Cobb said. Cobb said the gun violence is a tough issue across the country. “And I hope our community doesn’t become immune to it because once we become immune to it, then we’re just going to say ‘this is commonplace, it’s OK for this to happen,’ and that’s a scary situation,” he said. This article has been updated to reflect that Katie Buitrago is the director of research at the Heartland Alliance, not the Heartland Institute as previously stated.